Archives Départementales Angoulême is located at 24 Avenue Gambetta in Angoulême. The building facade was renewed in 2016. 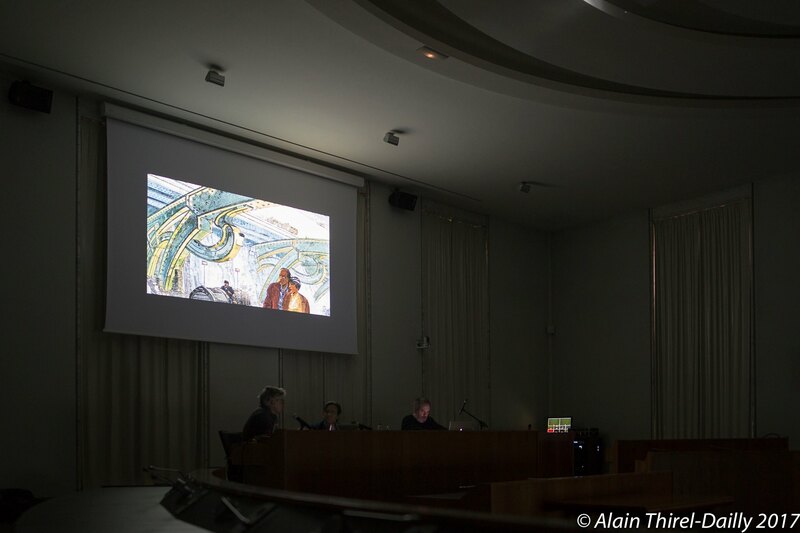 In January 2016 the department signed a contract with François Schuiten to use on of his images for the facade 1). A total of 850 high plates of 50 kilos and 2.30 meters by 1.25 meters wide cover the building. In total 2.000 square meters. All plates have micro perforations that forms the image. The facade is made by Champniers Troise and was finished in January 2017. The facade was officially opened during the Comic Festival of Angoulême, end of January 2017. Above photo by Yvan Boude 2) and below photos by François Schuiten and Benoît Peeters. 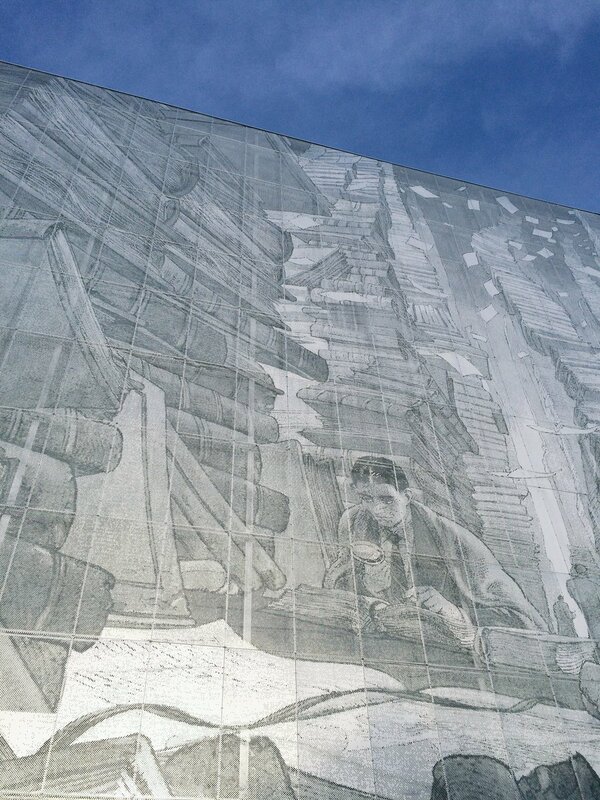 Some images of the official showdown of the facade by Préfet de Charente 4) and Benoît Peeters. Part of the official opening was the event «Rêves d’archives» on January 27, 2017, with Benoît Peeters, François Schuiten and Bruno Letort. 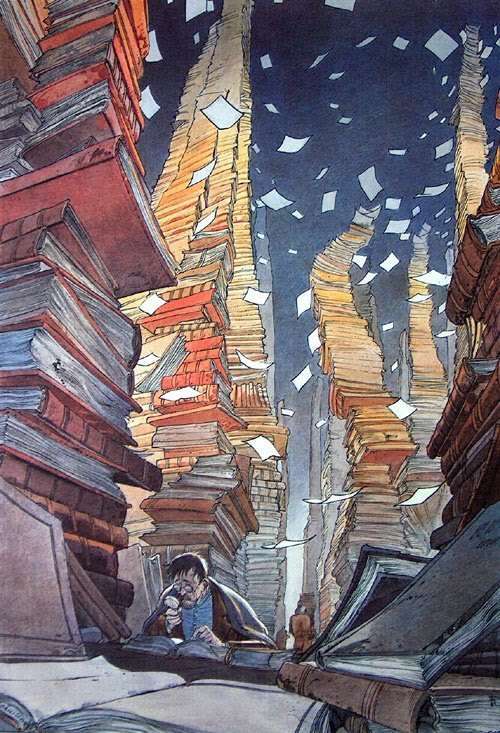 The original design with Franz Kafka, by François Schuiten. End September 2016 the first parts were visible 5), but it took until end of January 2017 to be finished. 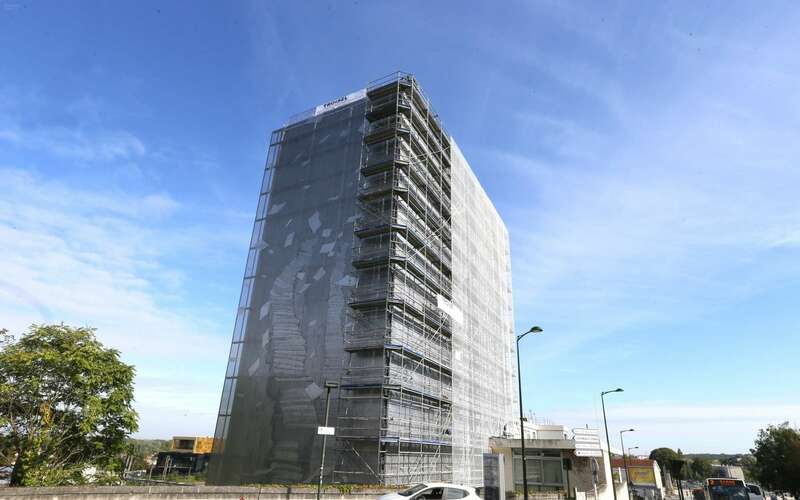 Troisel made the following video of the realisation of the facade.